This course will focus on the basis for all titles to land in Virginia – the land grant. 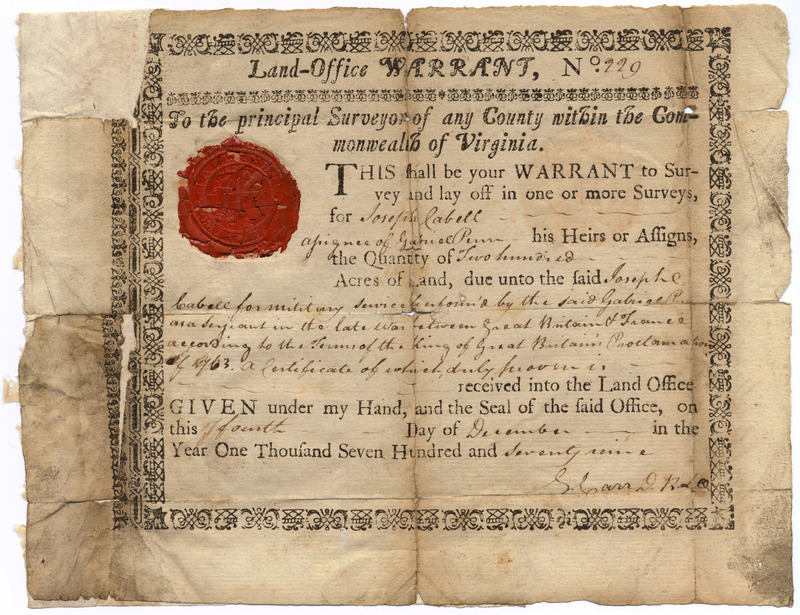 It will cover original charters given to The Virginia Company of London and subsequent patents issued by Royal Governors. The course will delve into the Lord Culpeper and Lord Fairfax land grants, grants in the Shenandoah Valley, titles derived by lottery in the City of Richmond, the boundary compact between Virginia and Maryland, and titles to prominent properties in Virginia. Tips on searching and locating land grants will be provided. Lisa Tully is Vice President – Underwriting Counsel for the Fidelity National Title Group of underwriters, which include Fidelity National Title Insurance Company, Chicago Title Insurance Company and Commonwealth Land Title Insurance Company. She received a Bachelor of Arts from the University of Richmond in 1982 and a Juris Doctor from its law school in 1985. Lisa began her career in the title insurance industry in 1987 with Lawyers Title Insurance Corporation prior to its merger with Fidelity National. She is currently underwriting counsel for the company’s Virginia operations. In this capacity she provides legal advice to employees regarding underwriting, title examination and commercial transactions; and handles complex underwriting issues for agents and their customers. She is also assistant state counsel for the Fidelity National companies in Virginia, handling claims, regulatory and insurance compliance issues. Lisa speaks regularly to title insurance industry groups, agents, lending organizations and real estate attorneys on property issues including water rights, church property transfer, foreclosure, title insurance coverage and claims, and RESPA compliance. She is a past officer of the Virginia Land Title Association and a member of VLTA’s education and legislative committees. Lisa is admitted to practice law in Virginia and the U.S. District Court for the Eastern District of Virginia. Outside the office she enjoys skiing, hiking, reading, cooking and participation as a board member of several non-profit organizations.